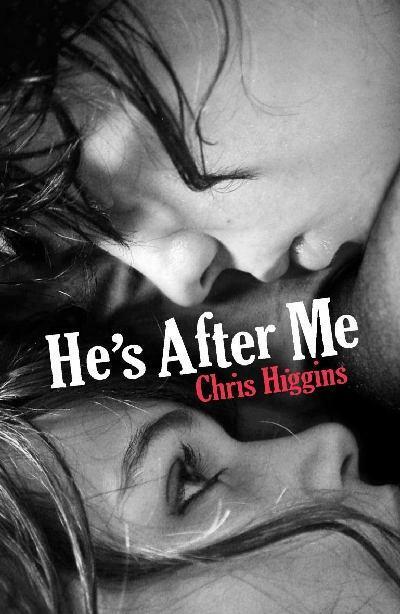 When smart but plain Anna meets Jem in Chris Higgins’ novel He’s After Me, her life is falling apart. Her parents have recently separated, her mother has retreated from the world and her younger sister, Olivia, is suddenly dressing far too provocatively and hanging out with kids that Anna doesn’t particularly like. The first person narration sweeps the reader along and allows us to see both Jem’s many charms and also Anna’s growing doubts about the intensity of her first serious relationship. Her best friend Zoe sees it though. “He’s got inside your head, Anna! He controls you. Can’t you see it?” she says. But Anna can’t – or won’t see it. As Jem leads her further and further away from the safety of her life, she takes risks and chances she would never have previously considered. That might have been enough to drive this YA novel’s breakneck pace – but there’s more. Someone seems to be watching Anna and Jem. And so love’s arrow finds its target. And she’d seemed like such a sensible girl too, not the kind to lose her head over some bloke. Anna is a likeable character. I found myself really turning the pages to find out what was going on – wavering between believing in Jem’s charms and wanting to scream at Anna for not seeing through them. The anonymous third person kept me guessing, too. So, in that respect – good little page turner. But I didn’t like the ending much. This entry was posted in 365 Days 2012 and tagged 2012, Book Review, teen, thriller, YA by Christie. Bookmark the permalink.